Bessie Bellingrath’s gardening skills also provided the spark that led to the creation of Mobile’s famous Azalea Trail 89 years ago. 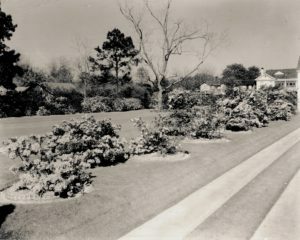 The Bellingraths’ neighbor across South Ann Street in Mobile, Sam Lackland, often observed the countless cars driving through their property to admire their azaleas each spring. Mr. Lackland was a retired hotel executive, and after a trip to Charleston one spring, he was told that the hotels were all booked because of tourists coming to see the azaleas. 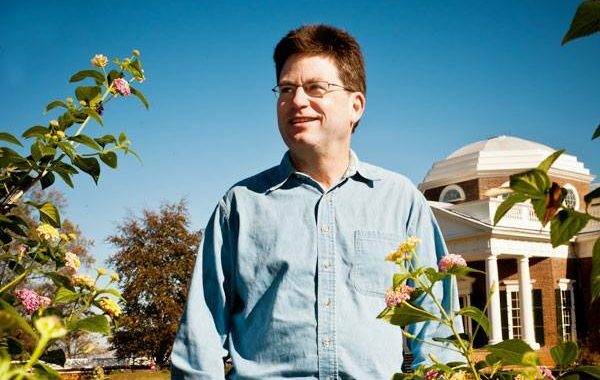 He returned to Mobile and approached the City Commission with the idea of establishing an Azalea Trail to attract tourists. 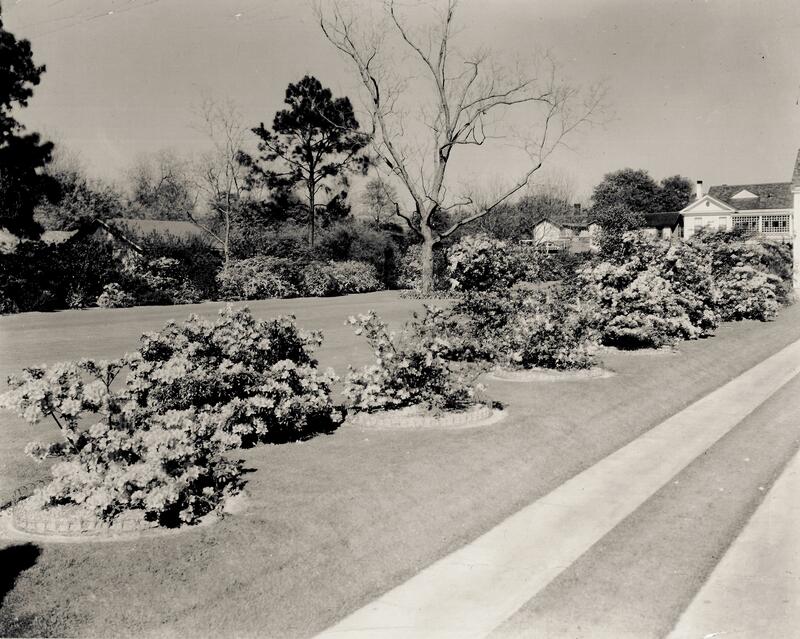 With the help of the Junior Chamber of Commerce, Mobile’s Azalea Trail was presented in the spring of 1929. Bessie Bellingrath’s Ann Street garden. 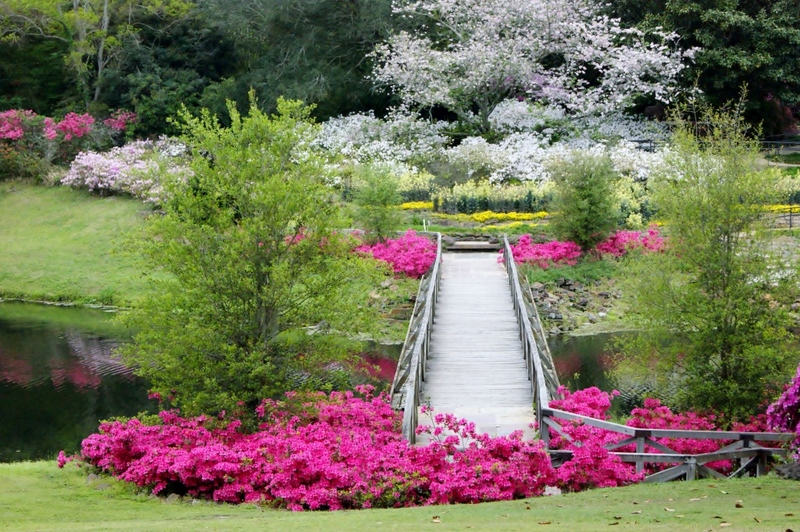 “For almost 200 years, there have been Azaleas in Mobile, appreciated and admired by those who have seen them. In the middle of the Eighteenth Century, Fifisse Langlois, returning to Mobile from a visit to his childhood home in Toulouse, France, brought three colors of Azaleas to Mobile. From that time on, we find the Azaleas woven into the pattern of Mobile’s history. 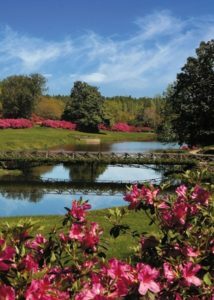 When France ceded Mobile to England in 1763, visitors came to see the Azaleas; and in 1779 when the Spaniards took Mobile, they marveled at the glory of these flowers. “Since the turn of the Twentieth Century, some of the bushes planted about the middle of the Eighteenth Century have become almost trees, towering fifteen to twenty feet in height and measuring over a hundred feet in circumference. Many of these ancient bushes have been brought into Bellingrath Gardens, where they are zealously guarded for this and other generations to enjoy and admire. 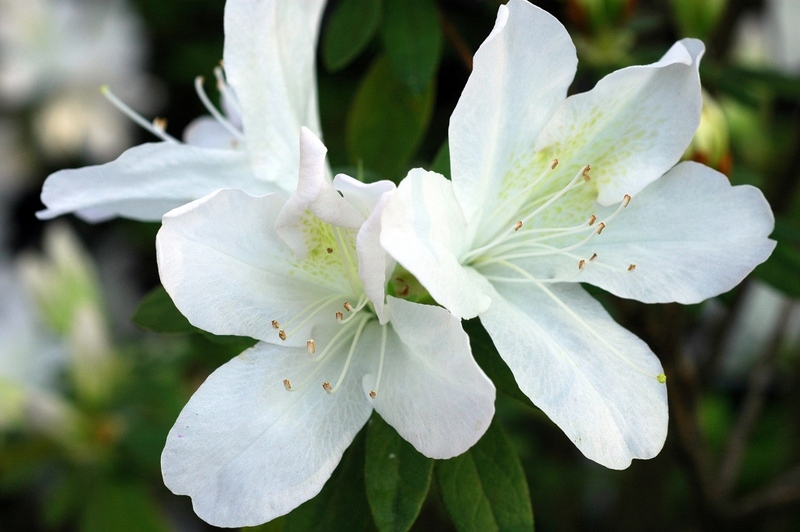 The azaleas that Walter Bellingrath referred to belong to a class of azaleas named Southern Indian Hybrids, or Indica Azaleas, and are best grown in the Deep South, or horticultural hardiness zones 8 and 9. (Mobile is in zone 8.) The plants were first grown in Magnolia Gardens in Charleston, S.C., by the Reverend John G. Drayton in 1848. It is thought that the original plants were purchased from a Philadelphia nurseryman who had a branch nursery in Charleston. Later in 1856, Mr. P.J. Berckman established a nursery in Augusta, Georgia, and introduced many unusual varieties of Indicas. 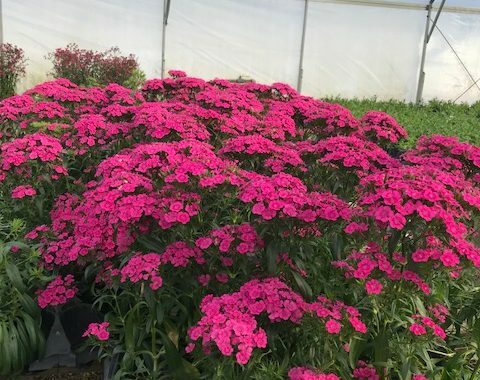 Much of the original Fruitland Nursery has been incorporated into Augusta National Golf Course, and Indicas are generally in full bloom during the tournament. 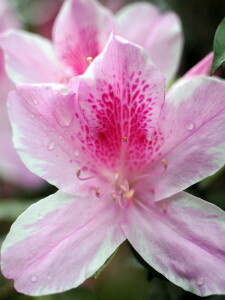 Probably the most noted and planted cultivars of Indica Azaleas are ‘Formosa’ – magenta purple; ‘Pride of Mobile’ – deep pink; ‘George Lindley Tabor’ – white with pink freckled centers; and ‘Mrs. G.G. Gerbing’ – a solid white sport of Tabor. All of these varieties can become quite tall in the landscape. My good friend John Floyd, the longtime editor of Southern Living magazine, certainly agreed with Walter Bellingrath’s assessment of size, for he once told me that Mobilians can grow azaleas as big as a Trailway bus. We all have read Bill Finch’s articles on azalea pruning and I share his views that these wonderful plants don’t need to be pruned like boxwoods and need to retain their graceful, loose form. Oftentimes, the best course for pruning old plants is to prune severely to rejuvenate new growth. Over the next few months, visitors to the Gardens will no doubt notice that we will initiate this type of pruning method to restore many of our old plantings that have developed dieback as a result of storms and other stressors. 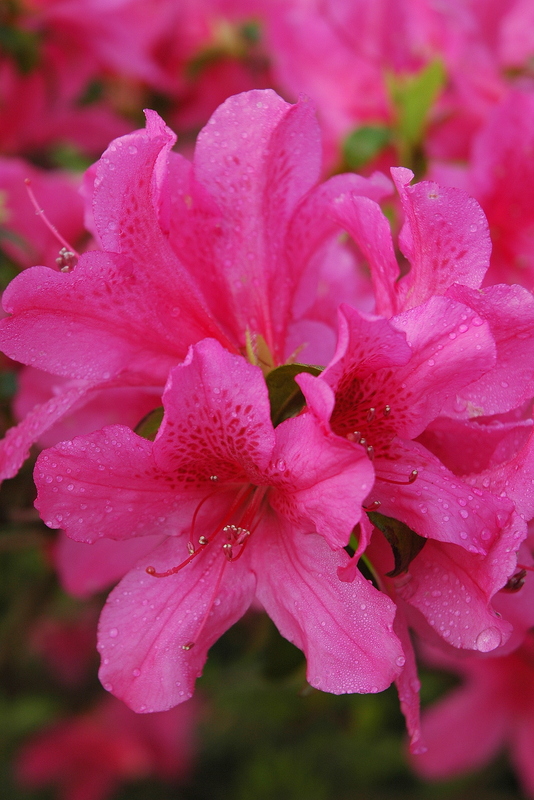 The city of Mobile has been famous for being the Azalea City, and certainly, Bellingrath Gardens and Home will always have the Southern Indian Azalea as a major feature of the Gardens. Indica Azalea ‘George Lindley Tabor’ at the edge of the Great Lawn.